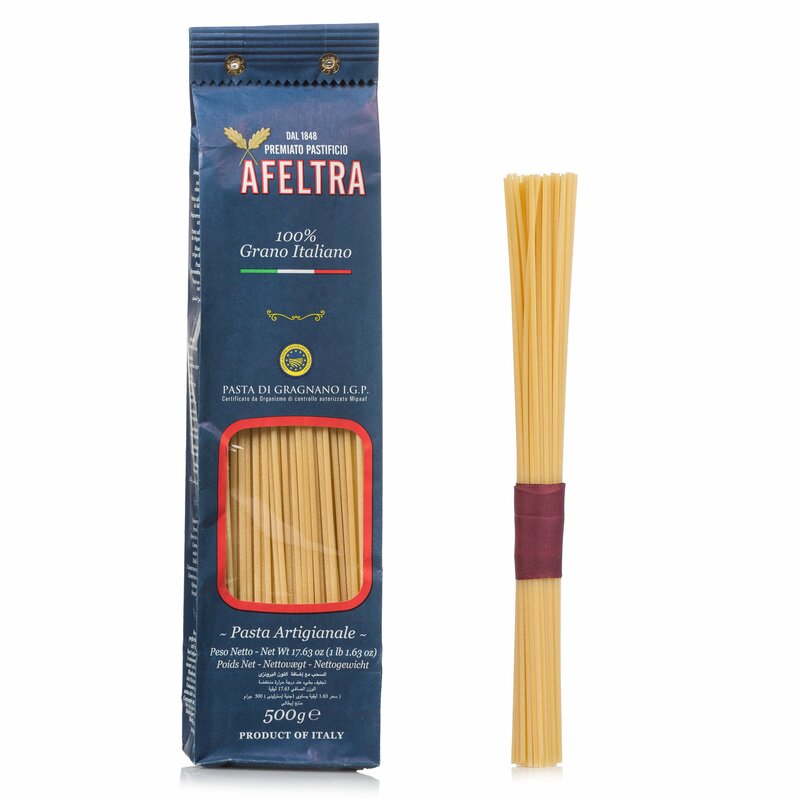 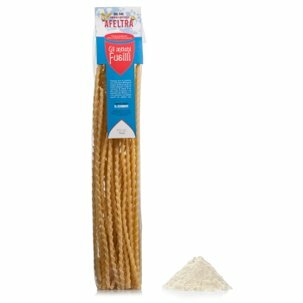 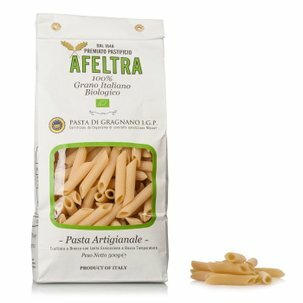 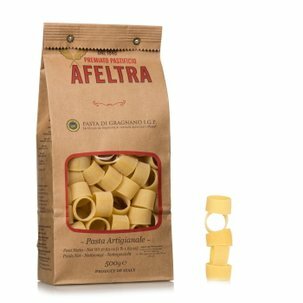 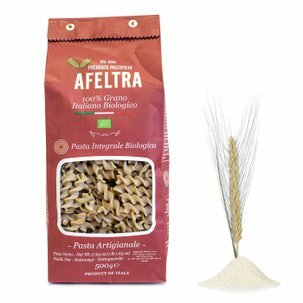 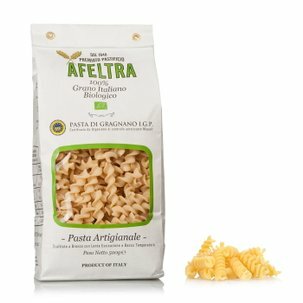 The Afeltra spaghettoni are produced using carefully selected 100% Italian wheat that is processed by hand and extruded through bronze dies according to the most ancient tradition of Gragnano. Fuller, and with a larger diameter than traditional spaghetti, they are perfect for meat and vegetable sauces, in particular for recipes in which the pasta is sautéed in the pan. 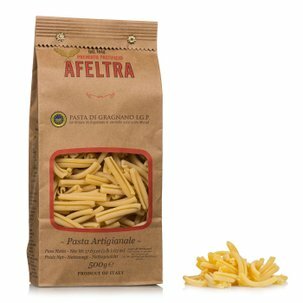 Try them with fresh fava beans, pecorino and pancetta, or with a sauce made with chopped vegetables and courgette flowers.